” Mousing,”–the mere term in fly shops and guide circles brings smug grins to outdoor faces. It is not for the foolhardy, however. Tossing large rodent patterns is an angler’s love affair conducted under headlamps on moonless nights. It requires hefty fly rods in the 7-weight category and reels with space-age drag materials. But, fly fishing with mouse patterns routinely turns the heads of giants that rarely show themselves to anglers in daylight–Big fish that hide under the protective cover of undercut banks, large submerged boulders and cantilevered ledges. Chunky brown trout need to eat large prey often in order to maintain their size and metabolism. They don’t satisfy their hunger by eating a handful of midges like tic-tacs. It’s the drive thru and Big Macs for them! Fly fishing with a mouse fly was a secret stashed in duffle bags and angler psyches and brought back to the lower forty-eight by adventurous Alaskan anglers. During the high-water early season, the warm weather summer months, and especially in the fall, mice provide a mouthful for predatory trout trying to maintain size or bulking up before winter. Spring high water washes banks away and causes burrows to spill into the river. This sudden inundation places a lot of unfortunate edibles like lizards, snakes and mice in the watershed. When mice inadvertently fall into the spate as fast water splashes ashore, they become an opportunistic food source that only the most aggressive fish exploit. Summertime is a bountiful time, with rodents moving about actively. A mouse on a flimsy branch can inadvertently find itself swimming amidst the slower currents found in the long days of summer. I’ve even fished a mouse fly in Florida for aggressive largemouth bass. Autumn has a fat population of mice available to hungry trout storing up for winter. Cool nights provide the backdrop for anglers with headlamps and bushy high-riding mouse flies. When a chubby mouse swims across the surface in October, hold on, because the fish that show themselves in autumn are block-headed browns and cherry-cheeked rainbows looking to fill their gullet with fur. The combination of thrill-seeking blended with trophy possibilities are two of the main reasons guides get excited about fly fishing with mouse patterns. 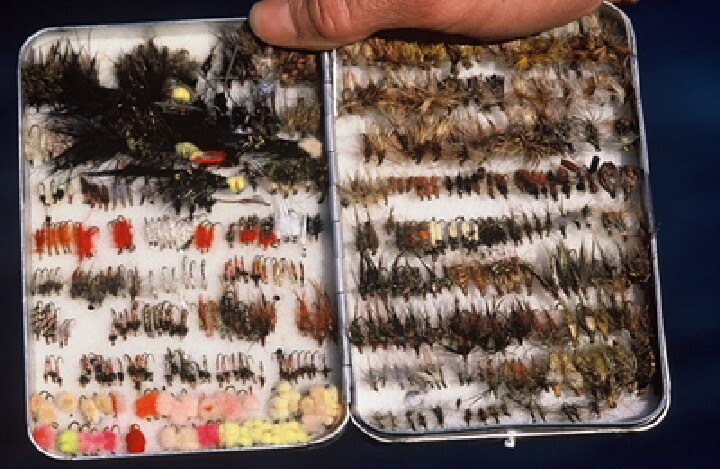 Top-water fly fishing is an exciting adventure especially when paired up with hairy, mouse patterns. Providing a large profile that only the biggest trout exploit, mice are an alternative food source that is often overlooked. Big water-pushing patterns catch the attention of opportunistic trout and other fish. And heavy hooks are required to hold them. Some fly tyers often design their mouse patterns with a trailing hook at the end of the tail for added insurance. SWIM: Stiff fly rods rule the playing field when it comes to fly-fishing with a small mammal. A quick cast to the bank and a slow wiggle of your rod-tip as the mouse fly pulls away from shore solicits strikes from cut-bank carnivores. SWING: Toss to the far or opposite bank and swing the mouse fly on top of the water across the current. Holding your tip high will prevent the mouse from diving or sinking on the swing. Target slow, slack water close to shore, soft banks and less-rapid current. It is extremely difficult for trout to track a mouse at night in broken water. DOGGY PADDLE: Lastly, think about a Labrador swimming after a duck: his body rides deep, tail on the surface and doggy paddle strokes creating a rhythmic tempo. The doggy paddle cadence is one that is achieved in daylight hours by practicing and observing your retriever and then repeating these motions in the dark. When you hear a strike in the dark, resist the urge to trout-set by lifting your rod, which often results in pulling your fly away from the fish. Instead strip-set after you feel the heft of a fish on your line or leave the fly and wait for a second strike as you make a few small movements to mimic an “injured” mouse. Rods for mouse fly fishing need to have enough backbone to cast heavy waterlogged mouse flies with a certain degree of efficiency. The Sage Method in 6 or 7 weight is a great example of a mousing rod. The Scott Flex is a surprisingly easy casting rod that makes long nights chucking heavy flies more enjoyable. Reels that can hold a fair amount of line when retrieving without improper stacking are the best. It is often easy to overlook how you are managing your line in the dark. Initial runs are often strong bullheaded bursts. 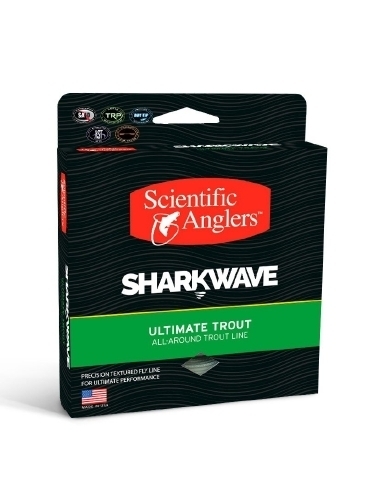 Allowing any large fish to get too much line out is a recipe for disaster, especially at night. Lines that can handle turning over a large fly are the best for mouse fly fishing. Most weight Forward Floating lines can cover the job well. 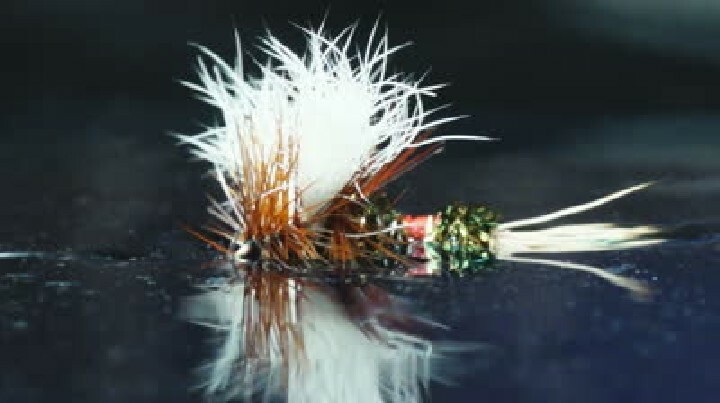 However, some of the newer lines developed for Peacock Bass fly fishing in the Amazon or Pike fly fishing up north have tapers that enable easier turnover of heavy flies when casting. “Mousing,”the term evokes memories of triumph and heartbreak for some anglers. Hidden like a hermit under a bridge and only showing their face when the pangs of hunger require, big trout need big food to survive. And a mouse fly fills that void. 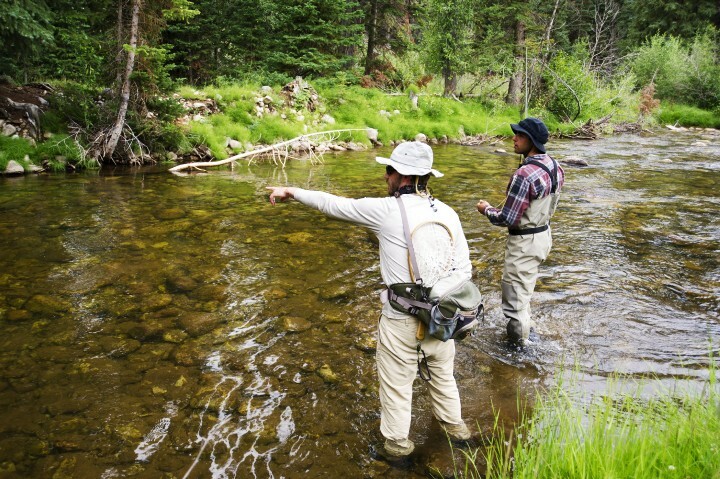 Book a guided fly fishing trip with Vail Valley Anglers and our staff of experienced guides to explore this new technique.